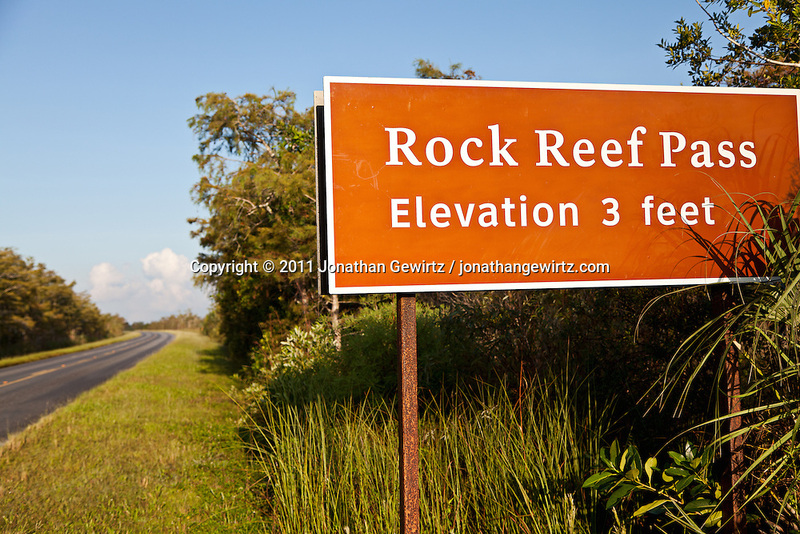 Rock Reef Pass, shown here where it crosses the main road in Everglades National Park, rises just three feet above the surrounding sawgrass savannah. The tiny height differential above the surrounding grassland supports trees and other vegetation that could not survive a few feet away. WATERMARKS WILL NOT APPEAR ON PRINTS OR LICENSED IMAGES.